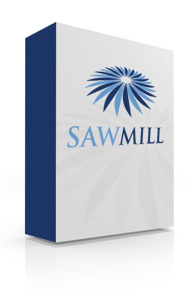 Sawmill PROFESSIONAL is very definitely the professional's choice, designed with all the configurability and power you will need to generate and tailor your reports to meet both your, and your users’, requirements. Using Sawmill PROFESSIONAL Edition you can automate repetitive functions like updating the databases, sending out key reports to the right people each month and generating the heavily used static reports for all your users. When you are ready to add more profiles, or move up to the ENTERPRISE Edition, you will appreciate the simplicity of a Sawmill upgrade. Adding profiles or moving up to the next product is as easy as purchasing a new key, with ‘profile’ compatibility throughout the range of Sawmill solutions. Sawmill PROFESSIONAL Edition offers extensive customization features, including custom reports, graphs, macros, and filters; full editing of the profile through the configuration interface. SawmillPROFESSIONAL gives you the tools to arrange your analysis exactly the way you want it, through a web interface. Sawmill PROFESSIONAL may be run on any of the Supported Sawmill platforms (Unix, Linux, Windows, Macintosh), and can be run either locally (on the ‘server’ being analyzed) or remotely (on any system you want, anywhere you want). When run as a remote application Sawmill PROFESSIONAL will be able to automatically download the target log files, process them, and publish the reports using its integrated web server, or email the reports to wherever you need them or both.